What sets "Shazam!" apart is that like its teenage kid trapped in an adult's body hero, it knows no bounds when it comes to having a pretty fun time. The no-holds-barred and unapologetic approach makes this one origin story you'll find funny but still with a lot of heart. An ancient wizard has been looking for a pure-hearted human to take his powers and ensure that the seven deadly sins are kept from unleashing chaos. But time is running out as every human he has tested has failed. With his powers weakening and a villain that has harnessed the powers of the sins, the wizard desperately gives his powers to Billy Batson (Asher Angel), a foster kid who has his own demons to contend with. 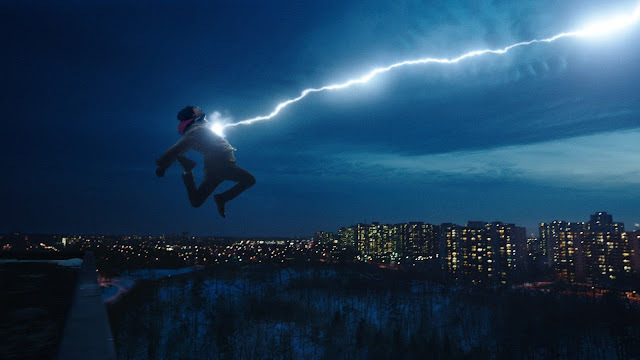 But becoming the all-powerful Shazam (Zachary Levi) has its perks and being a kid at heart, Billy does what any teen would do with superpowers - have fun with them. 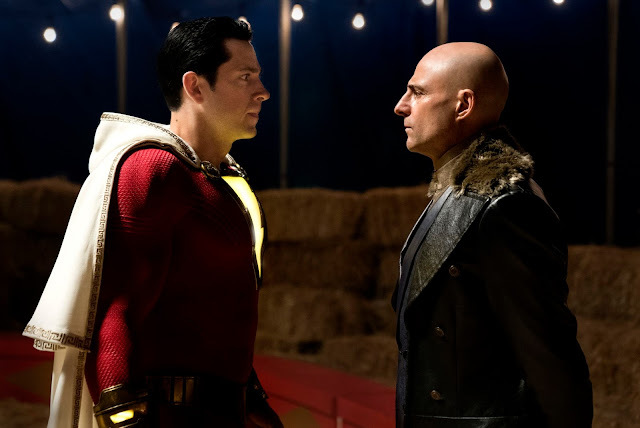 But he’ll need to master these powers quickly as the same villain, Dr. Thaddeus Sivana (Mark Strong) who got the seven deadly sins is out to get him. Unsurprisingly, "Shazam!" 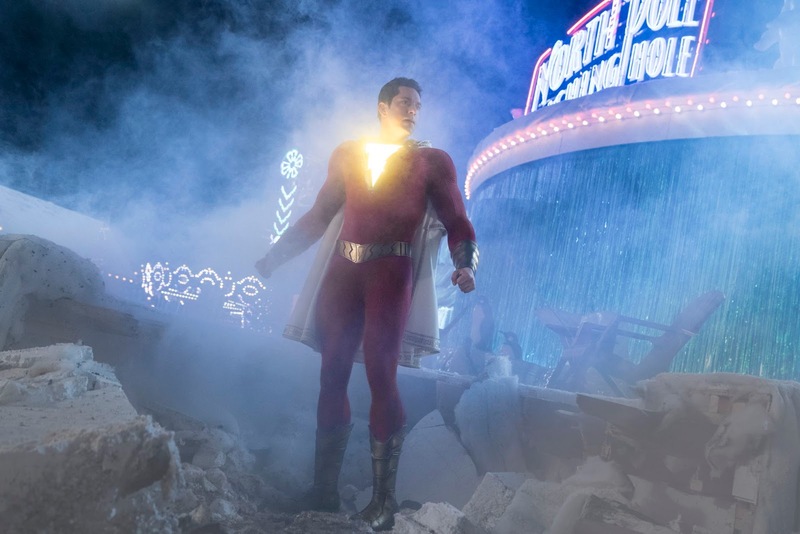 completely deviates from the dark and greyish exterior that most DC Extended Universe (DCEU) films have been working with since the franchise started and it works wonders to make "Shazam!" supremely enjoyable. Still, this is an origin story and most would expect the same formulaic themes that make a superhero a superhero. But not "Shazam!". Let's just say that being a teen, Billy Batson ain't your typical superhero. He definitely thinks and acts unlike any hero and he also has his own personal issues that make him more human than hero. This alone makes the character of Shazam a lot more approachable and relatable. Additionally, We found ourselves swept with unexpected twists so the story feels fresh all throughout its runtime. Speaking of runtime, this is where the film hits a speedbump. Running at more than two hours, there were times that the film felt sluggish particularly in its first half. Billy is a conflicted kid and the film takes its time to develop each issue his teen mind had to contend with to the detriment of the film's quality. Another particular red flag is the film's visuals. While mostly great, there were instances that quality dipped and CGI was pretty obvious (think Neo in "The Matrix" bad). 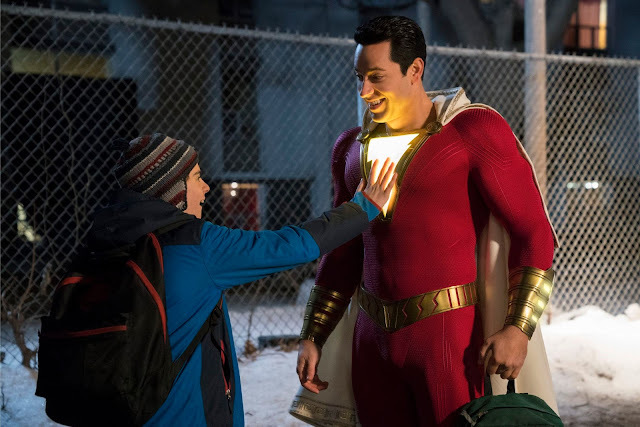 Overall, "Shazam!" is a bold step for DCEU taking the franchise to a vibe and feel unlike anything it has taken before and we liked it. The film features great story, great acting, and even greater comedy that simply translates to great fun.